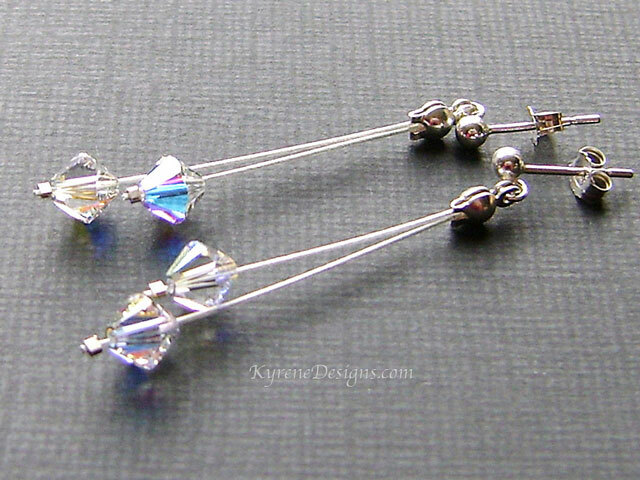 Sweet asymmetric styled crystal earrings made with sparkly clear, AB coated CRYSTALLIZEDTM - Swarovski Elements on jeweller's wire and sterling hooks. Perfectly matches the crystal necklaces. 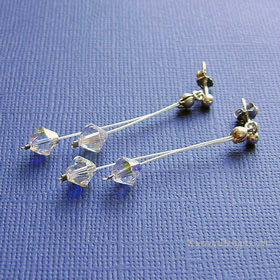 Suitable for your wedding jewellery.